Florida: What in the world is going on here!? - Truth Beyond Lies. May 21, 2018 reports/articles began to circulate that four new sinkholes opened up in a Fast-growing retirement community which goes by the name “The Villages”. The biggest sinkhole is about 27 feet deep and 25 feet long, which opened up in front of a house owned by Frank Newmann. The first one started at the house next door to Mr. Newmann followed by a second one which was between two houses. A third was found at the end of his lot (this is the biggest one) and the fourth is located at the golf course located of the other side of the community. These sink holes have unfortunately forced this 80-year-old man and his 78-year-old wife out of there home of 14 years. Mr. Newmann hired a geologist to study the sinkholes in hopes of getting everything fixed so he could move back in but was told the crack is still getting bigger so it is ill-advised. Reports say that two homes and three other residents were evacuated from the neighborhood back in February 2018 because ruptures within the ground near their property as well. 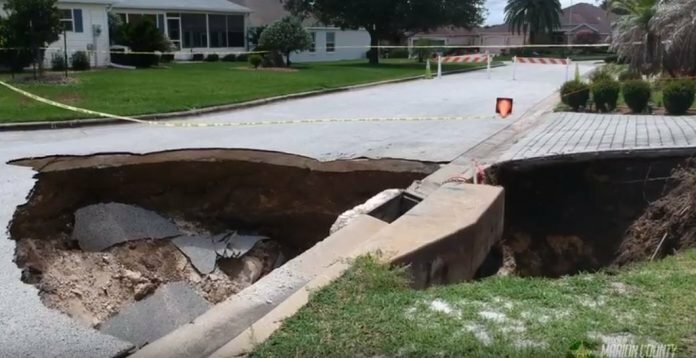 The Villages does historically have a reported high number of sinkholes due to the soft soil where thousands of homes reside. Weather reports also show that Florida was under heavy rainfall right before the sinkholes took form to support possible causes. May 21, 2018 the town of Lake Worth sent out an alert at 1:41 am warning residents about power outages caused by “Extreme Zombie Activity”. The town infact was drenched by large amounts of rain which were the cause of power outages in some areas however when City Officials where asked about the alert they said someone altered or hacked the automated message which also just so happened to mention “Terminus” (a fictional town from the zombie TV series “The Walking Dead”). Officials could not say who altered the message but are checking the rest of the automated messages in the system to see if they have been changed as well. 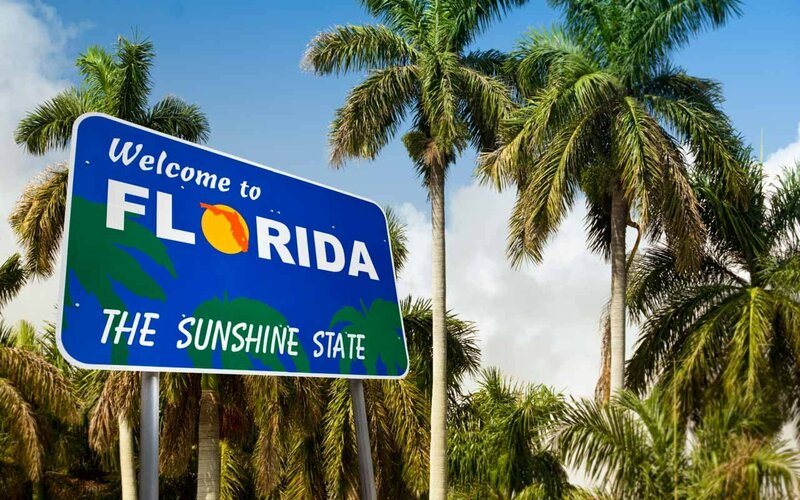 May 26, 2018 The state of Florida along with Alabama and Mississippi declared a State Of Emergency due to Subtropical Storm Alberto (the first named storm of 2018) which is expected to bring heavy rainfall and flooding to the coastal states by May 28th. On May 27, 2018 Thousands of Florida residents were evacuated from their homes because forecasters have stated that “Alberto” could bring Isolated tornadoes and are possible across central and Northern Florida Peninsula as well as swells of about 2-4 feet to low-lying areas which could cause life -threatening surf and rip currents. 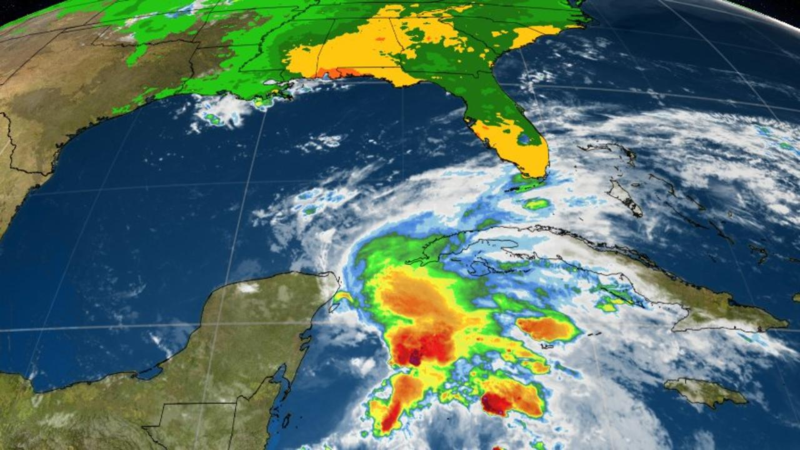 On the evening of May 26th, the storm was said to be located roughly 95 miles north of the western tip of Cuba and 275 miles southwest of the Dry Tortugas, which is almost 70 miles west of Key West Florida. If you recall the Florida Keys were hit hard by hurricane Irma back in September 2017.